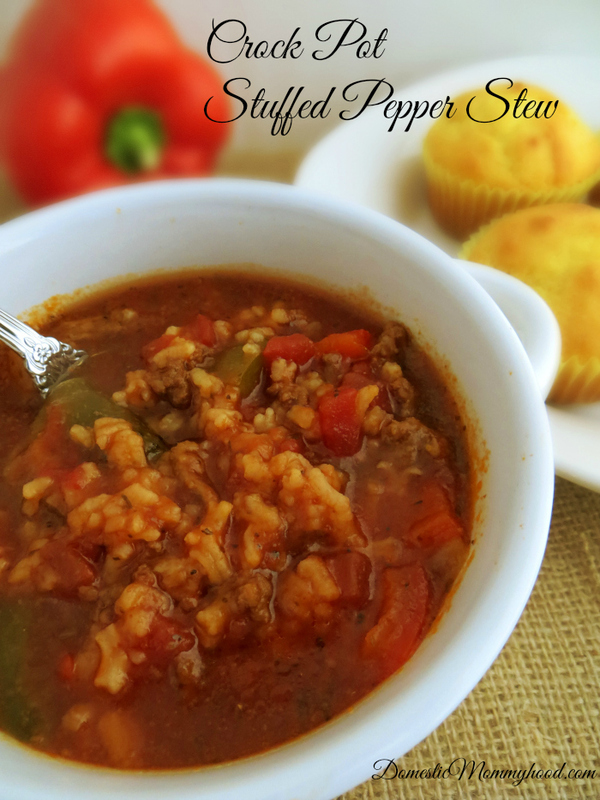 Around our house we are always looking for easy dinner recipes to cook throughout the week. I want easy but I am not a fan of grabbing fast food, It’s just not the healthiest option and crockpot cooking is easy and you are in charge of what goes in your family’s tummy’s. 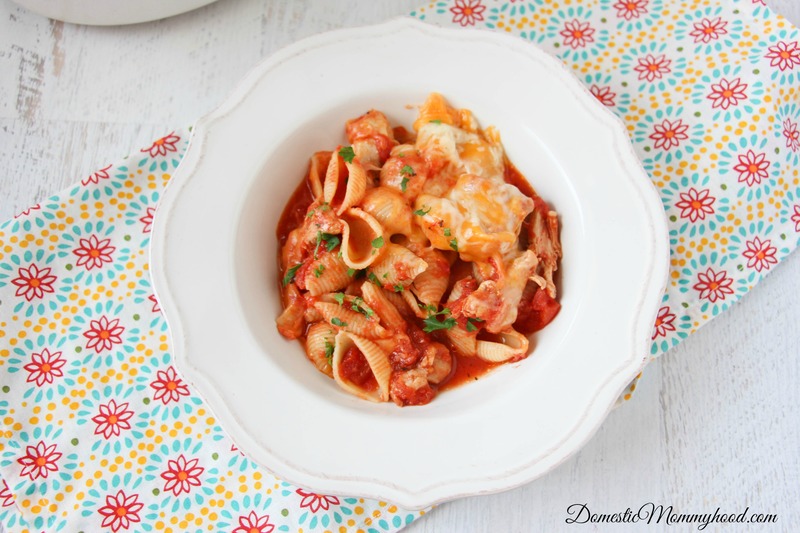 This Crockpot Chicken Parmesan Pasta is not only easy but so very good! My crockpot of choice is the Cook’N Carry, you can see it over on Amazon. It actually has a lid that snaps on to make carrying it to party a breeze. I know you have headed out the door and arrived at some awesome event and realized that when you turned a corner that you crockpot tipped and you lost all your hard work into your floorboard! Not only are you arriving empty handed but now your car is going to smell like rotten Italian beef for the rest of your life! Must have item – Cook’N Carry Crockpot 6 QT. Don’t forget to scroll all the way down to the bottom of the post for a printable version of this easy dinner recipe! Season your chicken thighs with salt and pepper. Place tomatoes, tomato sauce, herbs and season chicken in the crockpot. Cook on high for 2 hours – or low for 4 hours. At that time, remove the chicken and shred with two forks – this serves two purposes. You are checking to see how cooked the chicken is and also making it smaller for serving. Add the chicken back into the crockpot along with the uncooked pasta. Cook on low for 1 hour (or high for about 20 minutes). Add the cheese and cover for 10-15 more minutes before serving. I hope you enjoy this easy dinner recipe today! 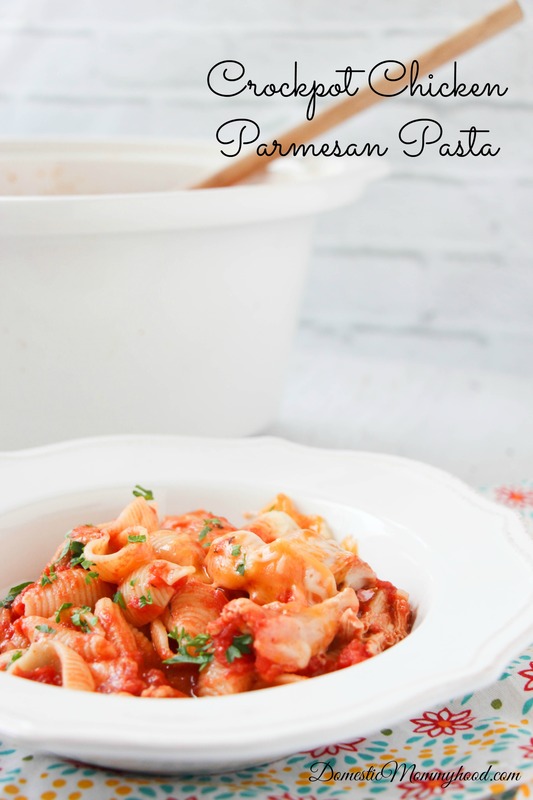 Crockpot Chicken Parmesan Pasta has now become one of my families favorites! Who knew dinner could taste so good and take so little time to make! Cook on high for 2 hours - or low for 4 hours. At that time, remove the chicken and shred with two forks - this serves two purposes. You are checking to see how cooked the chicken is and also making it smaller for serving. 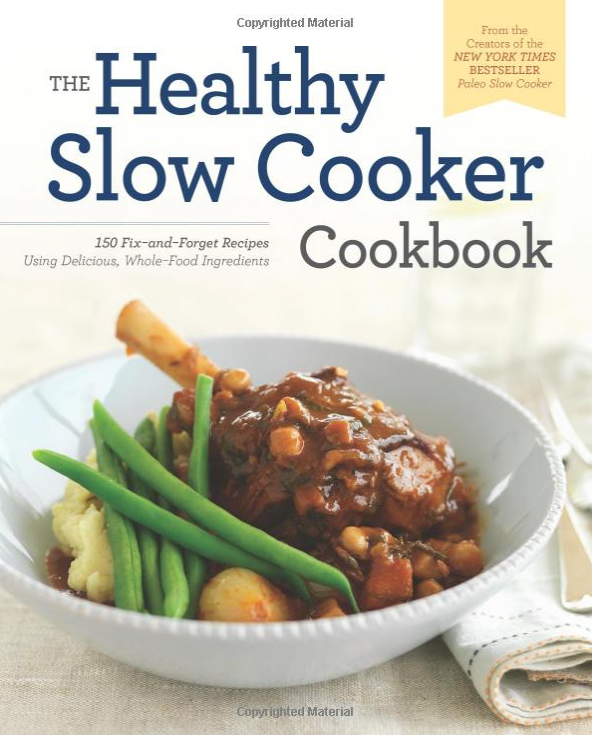 Must have Crockpot Recipe Books!